Click on the organisation logo to display the full organisation information. If you would like to modify your company information, please contact the . Leidos and Lockheed Martin’s Information Systems & Global Solutions (IS&GS) business have combined, creating a strengthened portfolio of unmatched technical expertise backed by a diverse and highly talented workforce. Together, these two companies form the new Leidos — a highly competitive, solutions-based organisation providing practical answers for a complicated world. Our new business is separated into five groups focused around four distinct markets, defence, intelligence and homeland security, civil and health and one cross-cutting market called Advanced Solutions. Through our culture of innovation and history of performance, we develop deep customer trust built on integrity and create enduring solutions that improve our world. We offer technology, services, and IT solutions to military operations, defence organisations and government ministries to deliver situational awareness and enhance operating effectiveness of mission critical communication systems. Our Tactical Data Link toolset provide through-life interoperability and support. Providing technical solutions to address your needs, assisting with the definition and capturing of requirements, support during acquisition and integration, simulating multi-TDL environments and provides the capability to perform detailed and complex data analysis. As Leidos we provide solutions for defence’s most complex problems. For more information please contact us by email on sales.tdl@leidos.com or by phone on +44 (0)1684 580490. One of the world’s leaders in tactical, C2 and video data link systems, Ultra provides critical data exchange capabilities and situational awareness to naval, land and airborne users. Through the secure networking of sensors, platforms and systems, operational decision-makers are able to co-ordinate and maximise battlefield effects. Ultra is a key supplier of the enabling technologies, including link-11, -16 and -22, which optimise the warfighter’s effectiveness by facilitating the timely dissemination of situational awareness and communications data across the battlespace. Ultra’s secure tactical data link systems and products are in service on helicopters, fixed-wing aircraft, surface ships and submarines worldwide. Ultra’s multi-link processor family of products provides a compact, single LRU, innovative and versatile solution to single or multiple tactical data link operations. Ultra’s Air Defense Systems Integrator (ADSI) is used on aircraft carriers and command ships, in tactical and air operations centres, in airspace integration systems and in joint command centres around the world. The system provides joint-certified tactical data link forwarding software, combined with tactical data link, radar and electronic intelligence interfaces. Supporting capabilities include network planning, toolkits for analysis, secure data transfer networks and remote equipment control and status monitoring data for a distributed network of unmanned remote facilities. Saab is one of the world’s leading high-technology companies, with its main operations in defence, aviation and space. Saab covers a broad spectrum of competencies and capabilities in systems integration. Saab develops manufactures and delivers advanced products and services for the defense market, as well as for commercial markets where its expertise creates business opportunities. The Group’s own strength and strategic partnerships enable us to both compete and collaborate on international markets. Founded in 1993, Tactical Communications Group (TCG) is the leading independent supplier of tactical data link software solutions for military communications worldwide. Its powerful, flexible software solutions minimize the time, cost and effort required to build, integrate, test, and deploy military systems that need connectivity and interoperability with tactical data link networks. TCG's complete tactical data link (TDL) product line includes military testing software, used to ensure compliance of TDL solutions with military standards using the BOSS test solution; military multi-link training systems for battlefield readiness using TCG's GTS training solution; and live operational systems for secure warfighter communications enabling better operational coordination and increased mission effectiveness using TCG's LinkPRO software. TCG's customers include leading military organizations, systems integrators and test agencies worldwide. For more information, visit the TCG website. Very cost effective solutions for integrating tactical data links into weapons, command and control, surveillance and support platforms. 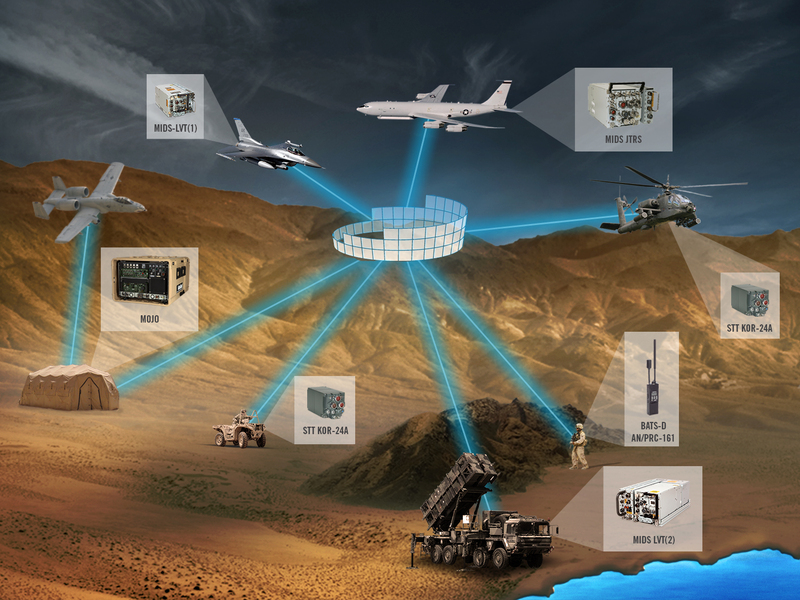 LinkPRO front-end TDL Processor – a suite of software components that provide a configurable front-end data link processor (DLP) for implementing TDLs in advanced military communications platforms. Using LinkPRO, platform developers and ground C2 systems providers can now easily embed high fidelity, standards-compliant tactical data link capabilities into their systems and solutions and deliver interoperable TDL solutions to customers across the globe. Battlefield Operations Support System (BOSS) – The "gold standard" for TDL test and platform integration, BOSS is the top-selling certified TDL simulation and test software solution on the market today. With BOSS, government test organizations, major prime contractors and systems providers and military R&D organizations are now able to reliably and consistently certify TDL implementations to assure interoperability and conformance with all existing and evolving Military Standards. TCG's BOSS testing solution allows these organizations to easily perform pre-operational testing to increase timeliness of deliveries and reduce development risks and costs related to incorrect or incomplete TDL implementations. Users are also able to simulate complexities related to multiple tactical data link networks, thereby optimizing test programs and test efficacy. When TDL testing is needed, the TDL community looks to the BOSS. Ground Tactical Data Link System (GTS) - a complete, real time TDL training and simulation system. Using GTS, military pilots and C2 operators can now easily create live operational Link 11/16/SADL/TTNT networks from the ground and provide highly realistic, cost-effective and repeatable TDL training, allowing operators to "train as they fight". Partnerships are fundamental to how TCG conducts business globally, and the TCG Partner Program was created to ensure our innovative and market-leading tactical data link solutions are made readily available to customers worldwide, through the sales channel and solution partner most convenient for them. TCG has three distinct programs depending on the partnership strategy: Strategic Alliance Partners; Reseller and Referral Partners; and Technology Alliance Partners. If you would like to partner with TCG, please contact us. JCSys Ltd is a company that focuses on providing key technical and operational consultancy support and training within both defence and civilian sectors. The Company comprises both broad and deep capability areas, which can be employed either in collaboration with, or independently of, each other. The JCSys team has recognised strength in depth in areas such as network enabling capabilities and, more specifically, Tactical Data Links (TDLs). We employ our technical knowledge and military experience to the benefit of our customers on matters from Air Battle Management to Space Surveillance, Ballistic Missile Defence (BMD) and Asset Tracking. The JCSys team also has recognised expertise in the integration of Communication and Information System (CIS) solutions within Air Traffic Management (ATM) systems. We have highly recognised expertise in the development of Enterprise Architectures (EAs) and the provision of technical advice and training on all aspects of EAs. JCSys Ltd is founded on Subject Matter Experts (SMEs), from technical, acquisition and military operational backgrounds, who possess extensive knowledge and experience in all through life phases of the capability areas within which they work. For more information on our capabilities and people, visit jcsys.co.uk. JCSys are delighted to announce the launch of their extensive training services. After five years of successful trading and growth in the Defence and TDL Community we have expanded our excellent core consultancy business areas to include the provision of tailored training services. Our training provision is designed to replicate the same successful core ethos employed across our range of consultancy expertise, providing our customers with cost effective and highly focussed expert advice. The success of our training capability was measured very successfully recently with the delivery of a bespoke VMF Executive Overview to personnel at RAF Waddington. The course was delivered by our TDL consultant specialists, focussing subjects that were relevant to the engineering audience, who are responsible for delivering vital core VMF support and testing for the Royal Air Force. We have also recently completed delivery of our Deployed TDL Operations Course at RAF Scampton. The course was very well attended by the Joint UK TDL operational community, with delegates from the UK JDLMO, Joint Air Picture Provision to the Land Environment (JAPPLE), No 1ACC and CRC Scampton. The delegates included TDL executives, planners, managers, supervisors and operators. The course was delivered by two of our operationally focussed instructors, who have both seen recent service in Afghanistan in the ground based and airborne TDL C2 environments. The course is designed to deliver operationally focussed TDL training to personnel with a vested interest in austere TDL operations. Both of these courses were a resounding success, receiving excellent reviews from all the attendees. If you wish to book on a course or discuss how we can meet your needs for bespoke training courses, please contact us at training@jcsys.co.uk. We look forward to hearing from you. You can also view our Training Brochure. General Dynamics United Kingdom delivers world class C4ISTAR capability that meets the demanding requirements of todays military. The Company's mission is customer focus; delivering the capability they want, when they want it. GD-UK is a leading supplier of integrated communication networks that deliver increased military capability through the effective application of network infrastructures, management applications and integrated battlefield information systems. Network Centric Solutions (NCS) is a fully independent company specializing in Tactical Data Link, Network Centric, and Effects Based consulting, training, and course development. NCS also provides planning and support services to military forces around the world. We are internationally recognized Tactical Data Link training experts and offer a variety of quality courses suitable for military and industry for more information go to www.network-centric.com. Network Centric Solutions provides high quality training and consulting services for Tactical Data Links and Network Centric Operations. NCS provides high quality, independent consultancy services to military and industry alike. Our highly trained staff provides the expert advice, support, and insight that can only be gained through high level operational experience. The quality of training offered in a proposal can make the critical difference for proposal acceptance. NCS will take an active role in your proposal development process. Our experts in collaboration with your team will develop the training portion of your proposal and be on hand to brief training options to your clients. Too many times within organizations training is used to try and fix problems that may not be skills or knowledge related. In order to be effective, training must be focused to address know deficiencies. Providing training without having determined a need can waste time and money. NCS can evaluate your systems, organizations, and personnel strengths and weaknesses in order to develop a holistic understanding of your training needs. This process will ensure that we can offer training solutions that will meet your current and future needs. In today's complex operational environment, connectivity and data throughput are at the forefront of the exercise and operations planning process. Our team of experts will ensure that the Tactical Information Architecture (TIA) supports all Information Exchange Requirements (IER) to include Time Sensitive Targeting (TST) / Time Sensitive Strike (TSS) as well as the Command and Control (C2) over all operations and forces. We can assist, oversee, or evaluate your operators, planners and other staff personnel during every phase of the exercise or operation. Our involvement will not only help ensure that your organization achieves a higher level of success, they will also receive superior On-the-Job Training (OJT). Whether in the air, on land or at sea, Viasat has been developing new and improved ways to execute the mission. We arm more warfighters on more platforms with the most secure, jam-resistant Link 16 communications so all operators and assets are accounted for – even at the most remote edges of the battlefield. With a Link 16 legacy that dates back over 20 years, we continue to look ahead – anticipating requirements of the next-generation of warfighters. Our growing technological capabilities not only improve connectivity and security, but also lead to increased survivability with significantly shorter kill chain timelines, reducing the risk of fratricide and collateral damage incidents. Interested in learning more? Please visit viasat.com/link-16-idls. TP Group is a specialist services and engineering company that provides high-integrity solutions and through-life support for critical applications in the defence, industrial and government sectors. Operating as a Tier-2 systems integrator, TP Group has the skills, expertise and experience to design, manufacture and deliver mission-critical systems to the most demanding standards. We provide through-life engineering and project management services to enable our customers to manage the evolution of their systems across the whole equipment lifecycle. We are a highly technical and innovative systems engineering and software house, experienced in complex sonar systems, common core combat systems, avionics and user application systems. Advanced engineering, service and technology capabilities throughout every stage of the equipment lifecycle. Commanders rely on our Mission Systems to make critical decisions.